Smashing Pumpkins frontman Billy Corgan recently gave a revealing, surprising and oftentimes confusing interview to The New York Times during which he boldly addresses a number of rumors and controversies. This, all the while promoting the Pumpkins’ comeback album and a more than 38-date summer tour titled “Shiny and Oh So Bright.” The band has been in the studio with the producer Rick Rubin working on new songs, which are rumored to be released as two EPs before the end of the year. Corgan says “I would say this is the happiest time of the band,” while flanked by three-fourth’s of the original group, bassist D’Arcy Wretzky conspicuously absent from any of the proceedings. Corgan and the Pumpkins had been teasing their reunion for some months, while prior to the official announcement, Wretzky made it clear she would not be part of the project. According to the Times’ article, initially “in pseudonymous comments on a rock blog and then in leaked text messages and an interview, the bassist detailed a long making-up and negotiation process that was ultimately derailed by miscommunication, worries from Mr. Corgan about her ability to perform and, of course, money”. 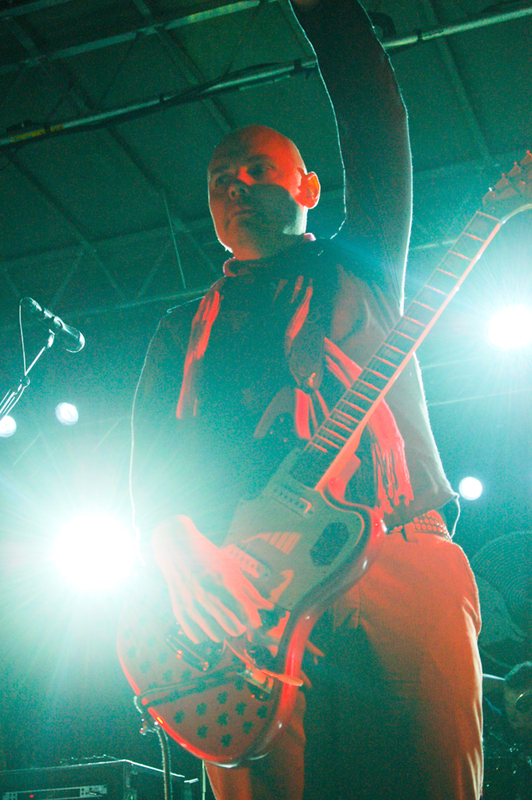 In other parts of the interview, Corgan credits his difficult personality leading to the group’s downward spiral and breakup as some part of a convoluted master plan straight out of professional wrestling, while addressing the touchy issue of personal politics barring any caution towards the topic.